“My initial goal is to continue winning until I get closer to the title and become a champion,” Belingon stated. Belingon had his chance to vie for prestigious gold in January 2016 when he challenged Fernandes for the ONE Bantamweight World Championship belt, but things did not go his way as the Brazilian champion swiftly submitted him with a Kimura lock in the opening stanza. According to Belingon, defeating McLaren in decisive fashion may strengthen his bid to get a rematch with McLaren. “I believe I will face Bibiano Fernandes if I can defeat Reece McLaren impressively. My dream of finally becoming a world champion is still there. It still lives in my heart. My upcoming bout is another journey to elevate my status as a contender for the title,” he stated. 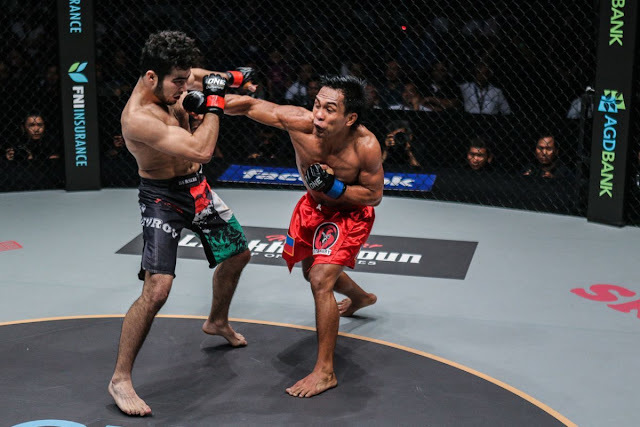 Although a tough task is ahead of him, Belingon is confident that he will have his hand raised in triumph against McLaren inside the ONE Championship cage. “It’s just the beginning for me. As a competitor, I have to keep on learning and adapt to changes in this forever-evolving sport. Through the years, improvement has been the key to my success. I am ready for Reece McLaren,” he concluded.